Monday: We had a lively discussion about subplots with Jan Drexler! The winner of Cheryl St. John's Write Smart, Write Happy is Bettie Boswell!! Wednesday: Publishers Weekly Bestselling Author Debby Giusti introduced us to Amish Suspense -- Three Challenges. The winner of an advance copy of the third book in her Amish Protectors series, is Darlene Buchholz. Congrats, Darlene! Thursday: Rita finalist Kara Isaac brought the house down on Thursday with her power-packed post about book piracy. Winners of her wonderful "Then There Was You" are Laura Conner Kestner and Stephanie Karfelt! Congratulations, ladies! Friday: Dana Lynn joined us with a look at organizing her stories and series via THE NOTEBOOK. Not the Nicholas Sparks' version, a real, down-to-earth, hands-on notebook that helps her keep things straight! Winner of her "Amish Christmas Abduction" is Connie Queen and winner of a copy of Susan May Warren's "The Story Equation" is Megan Brummer! Congratulations! Monday: Seeker Erica Vetsch will take a closer look at Subtext. What is it, and how can we use it in our stories? Friday: Barbara Scott will be our guest and will be bringing a post about "The Power of Journaling." Don't miss it! She'll be giving away a copy of her novel, Dreams of My Heart. Tina Radcliffe spied Glynna Kaye's latest, "Mountain Country Courtship" in a Valley of the Sun Walmart! ORDER HERE! And if you're gettin' downright tired of cold winds, Nor'easters and winter's ridiculously generous tirades, come on over to Petticoats & Pistols on Tuesday 3/27 when the fillies talk about CABIN FEVER and how it's enough to drive them all to distraction... or maybe give them more writing time! :) Ruthy's here and there on Tuesday, talkin' all kinds of things as we welcome (one can only hope!) a new season. Spring.... Bring it! Our own Mindy Obenhaus will be busy writing instead of renovating this year. She's signed a 3-book contract with Love Inspired Books! 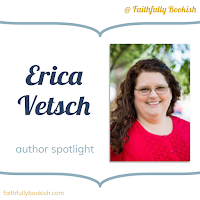 Erica Vetsch stopped by Faithfully Bookish to chat about her five favorite authors who have inspired her writing. Enter to win a copy of Seven Brides for Seven Texas Rangers Romance Collection here! 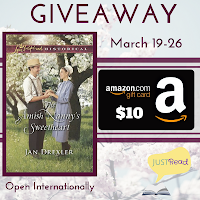 Jan Drexler's tour with JustRead includes guest posts and reviews for The Amish Nanny's Sweetheart. Enter to win a copy plus a $10 Amazon gift card here! We have two more Seeker Villagers who have made first sales! Laurie Wood has sold to Anaiah Press! Her book will release next winter (December or January). Sherrinda Ketchersid has sold her medieval romance to Lighthouse Publishing of the Carolinas! Congratulations to both of you! We look forward to hearing more. The Pleasures of Genre - by Peter Selgin, a regular contributor to Jane Friedman. Congratulations to Laurie Wood and Sherrinda Ketchersid! So exciting! A big congrats to Laura Conner Kestner on her TWO Golden Heart nominations. Congratulations Laurie and Sherrinda! So very happy for you! Looking forward to reading the links and digging into the posts next week. Have a wonderful weekend! So many congratulations, but first to Laurie and Sherrinda!!! Huge congrats to both of you!!!! And to Mindy on her 3 book contract. YAY!!!!!! And then to our winners... congratulations and thank you for being such a huge part of the villager family here! And then to our RITA and Golden Heart finalists! Kara, Josee, Laura!!! (and if I overlooked someone, shout it out!) huge congrats to all of you. That is absolutely wonderful... and remind me sometime to tell you how I entered three (or four) manuscripts in the Golden Heart... EPIC FAIL. So that makes me doubly proud of you guys! Congratulations to Sherrinda and Laurie! Also, congratulations to Josee, Kara and Laura. 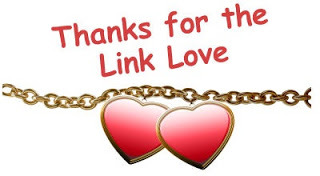 Congratulations on a three book deal to Mindy and congrats to all of this week's winners! We've got a lot to celebrate! I'm so happy for you all!! Congrats to Sherrinda and Laurie on the book contracts and also to Mindy on hers. So excited for Josee, Kara and Laura on the Golden Heart. Going to visit my Dad today. I haven't seen him since January 6. Since then he has had 2 surgeries. Is anyone participating in Camp Nanowrimo? Have a great visit with your dad, Wilani! Woo Hoo!!! BIG CONGRATULATIONS TO SHERRINDA AND LAURIE!!!! Things are really humming here in Seekerville! Congrats Sherrinda and Laurie! We'd love to hear what your stories are about and when you think they might release! Congrats, too, to the RITA and Golden Heart finalists among us!! AND for that new contract, Mindy!! Congratulations to Mindy, Laurie, and Sherrinda!!! How wonderful! 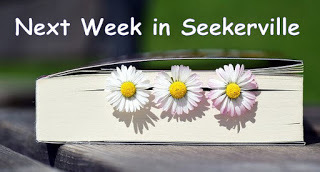 Forgive me for being late, I snuck in a couple of last minute links in for Erica and Jan so be sure to check those out :) Happy weekend, Seekerville! Congrats to Laurie and Sherrinda!!! That is super exciting! And congrats to Mindy - more good reads ahead for us all! Love that Show not Tell article. I need that reminder all the time. Happy weekending, Seekerville. 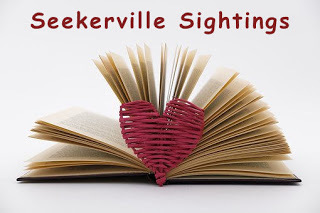 Happy Weekend, Seekerville! There's lots to celebrate today. Congrats to all the winners and a HUGE congrats to Laurie and Sherrinda!!! Happy dancing for you both! Such a big weekend in Seekerville. Congratulations to Laurie and Sherrinda on your book contracts and to Mindy for the 3-book contract. Excited to read them all. Hope everyone has a good weekend. I have a free weekend for a change, which will be nice. Happy weekend, Seekerville! Mega congrats going out to Sherrinda and Laurie! And to all of this week's winners. So much to celebrate. Congratulations to Mindy, Laurie, and Sherrinda!!! So exciting!!!! WAY TO GO LAURIE AND SHERRINDA!!!!!!!!!!!! WOOHOO!!!!!!!!! Congrats to all the winners! Enjoy!! Super congrats to Mindy on a 3 book contract!! Book sales are always cause to celebrate. FIRST BOOK SALES bring out the hats and noise makers!! WooHoo, Sherrinda and Laurie!!!!!!!!!!!!!!!!!!!!!!!!!!!!!!! Congratulations to our first time gals! Sherrinda and Laurie! Super cool! And to this week's winners, congrats! And Mindy, Awesome news!!! And to all our lovely SeekerVillagers, sending confetti and sparkles and happies your way this week! Keep on writing! Palm Sunday...always a special day. I was able to walk the path Jesus took during his triumphant entry into the city while on a trip to the Holy Land. It was so powerful to be there where Christ lived and died and was resurrected. Wishing you a joyous Palm Sunday! Congrats to Laurie and Sherrinda on the sale of their stories!!! Congrats to the blog winners!!! Wishing you all a prayerful and reflective Holy Week! Congrats to our RITA and Golden Heart finalists! Woot!!! Thank you, Seekerville and Debby Giusti, for the advance copy of Debby's newest book--cannot wait to read it! Congratulations to all the other blog winners as well. And a big congratulations to Mindy, Laura and Sherrinda and to the Rita and Golden Heart finalists. May Palm Sunday bring all who come to Seekerville the joy of Christ in your hearts. Mindy,Laurie and Sherinda! This is me happy dancing for you! Woohoo! Thank you everyone for the well-wishes! So excited to win a copy of Kara's book - thank you! And congratulations to Sherrinda and Laurie - cannot wait to read your books! So happy and excited for you! And congrats as well to Josee and Kara! It's been an exciting week!